Why Shouldn’t Homeowners Do Their Own Overhead Garage Door Repairs? 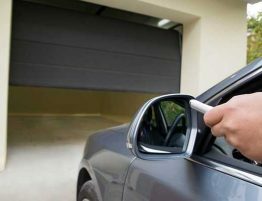 When your garage door stops functioning properly, it’s only natural that you’d want to correct the problem. Unlike many jobs that come with property ownership, however, overhead garage door repair isn’t a typical DIY task. Most people are far better off hiring a local professional. Distinct overhead garage door models operate in different ways. While some simply lift from one end using devices like hydraulic pistons, the majority roll or fold upwards with the help of track hardware. Garage door systems often include components that are placed under significant amounts of tension. Those who attempt to make adjustments without the appropriate experience may expose themselves to major risks if they fail to account for the amount of force contained in springs, cables or chain mechanisms. 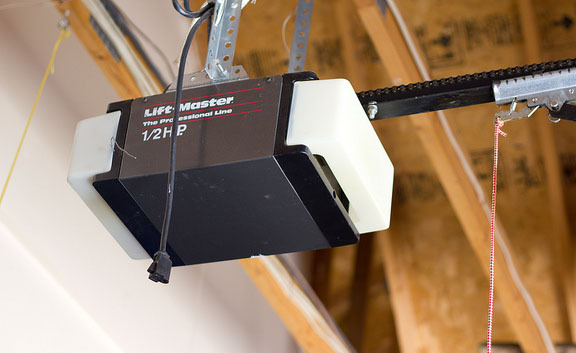 Working on the electric motor inside of a garage door opener could also expose you to the danger of electrocution. Another challenge associated with overhead garage door repair work is that these systems are quite complicated. Although it may be easy to get a basic functional understanding of how something like an overhead door works, it’s way harder to diagnose problems correctly and make effective repairs without the proper tools and experience. In some cases, seemingly simple repairs are all but impossible for property owners. For instance, you might be able to swap out a broken hinge just fine, but if it broke because it was placed under undue strain by misaligned panels, it will probably fail again later. Bent tracks could require top-to-bottom replacements or heavy-duty tools to straighten. 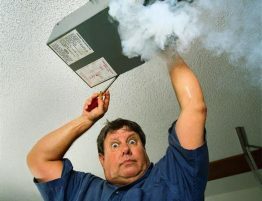 Regardless what the problem is, consulting with an expert increases the likelihood that your repairs actually will work. Overhead garage door repair is a tough job that smart Vancouver property owners prefer to let someone experienced handle. Learn more about your options by talking to a Door Aid expert.